Fords are not to be sneezed at | What Car? Six Ford models have been given the thumbs up as suitable for allergy sufferers. Experts at the European Centre for Allergy Research Foundation (ECARF) have given their Seal of Quality to the Ka, Focus, C-Max, Mondeo, S-Max and Galaxy. All six passed checks to determine if their interiors were allergy-friendly. ECARF reviewed tests by the independent German organisation, TUV, which examined more than 100 materials and components looking for harmful substances and allergy-causing potential. In addition, any surface likely to come into prolonged contact with human skin, such as the steering wheel and seat covers, was dermatologically tested. According to ECARF, results showed that the materials used greatly reduced the risk of an allergic reaction. 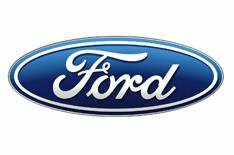 Fords European governmental and environmental affairs vice president, Dr Wolfgang Schneider, said: We are very proud that the first vehicles to gain ECARF approval carry the Ford blue oval. Its thought that nearly one-in-four people in the UK suffer from some form of allergy.